Around 3.6 million Australians are affected by hearing loss, at a cost to the Australian economy of an estimated $15.9 billion, with more than a third (37%) of cases being preventable, according to a report released commissioned by The Hearing Care Industry Australia (HCIA). The Social and Economic Cost of Hearing Loss in Australia report projects that by 2060 the number of Australians with hearing loss will more than double to 7.8 million – equivalent to one in every five Australians. Of great concern is the number of young people aged 12 to 35 years found to be at risk of hearing loss, with up to 50% of young Australians likely to develop hearing loss after five years of exposure to loud music – an increase of 40% since the early 2000s. Minister for Aged Care and Minister for Indigenous Health Ken Wyatt AM welcomed the report. “It highlights a number of challenges and opportunities for improving Australia’s hearing care,” Minister Wyatt said. It’s well recognised that the impact of someone losing their hearing is likely to have a range of other consequences on their social and physical ability and this report highlights the various interventions that can be used to alleviate that. The report was officially launched by Minister Wyatt this morning (August 16) at HCIA’s annual parliamentary breakfast at Parliament House, Canberra in the lead up to Hearing Awareness Week (August 20 to 26). The report highlights that hearing loss can lead to premature retirement, a greater number of sick days and a diminished capacity to work productively, as well as having a significant impact on an individual’s ability to socialise. ACT Fire & Rescue Commander Wayne Shaw, aged 59, has been suffering from tinnitus for the last 20 years and knows intimately the impact of hearing loss can have on a person’s ability to work and socialise. “I don’t think people realise how much they rely on their hearing until it’s gone,” Wayne said. “Before I had my hearing tested, there were times I felt very isolated from my family and friends. The majority of those affected by hearing loss are males, and by the age of 60 years old, one in every two males in Australia will be impacted, compared to one in every three females. “The significant increase in the prevalence of hearing loss shown in this report raises challenges for the hearing care industry on how we can best support and mitigate the impact on the Australian population,” said HCIA Chairman, Mr Ashley Wilson. HCIA also recommends that the hearing aid voucher program is extended to people in low income groups including younger and older Australians given this has the potential to reduce the gap in employment between people with hearing loss and people with hearing by approximately two thirds. This would result in a cost benefit ratio of 5.2, which is equivalent to a return on investment of $5.20 for every $1 invested in the program. HCIA is the Hearing Care Industry Association. Its vision is to serve the Australian community by facilitating the delivery of world-class hearing healthcare to all Australians. HCIA represents hearing healthcare providers in Australia. Its members fit around 60% of the hearing devices used in Australia. HCIA aims to better inform policy development, grow awareness of the value of the industry and provide a public voice on hearing related matters. HCIA works closely with government, the public service, the media, other professional bodies, and the public. HCIA’s member organisations operate independently of each other. Deloitte Access Economics is one of Australia’s most recognised economics advisory practices. The Social and Economic Cost of Hearing Loss in Australia – June 2017 report is revised, updated and expanded on the publication prepared by the organisation prepared for the HCIA in 2006 to quantify the impact and estimated impact of the financial costs and loss of wellbeing from hearing loss in Australia. Recent media reports are simply incorrect when they say that the hearing services sector is completely unregulated. The media reports fail to make it clear that all members of the Hearing Care Industry Association (HCIA) are registered to provide services under the Federal Government hearing services program and are also regulated by Commonwealth/State/Territory legislation governing health complaints laws, public health regulation, consumer protection law, employment law, criminal law and the law of contracts. That said, currently anyone can still set-up a hearing clinic if they are working in the private market only. HCIA members do not approve of that practice. 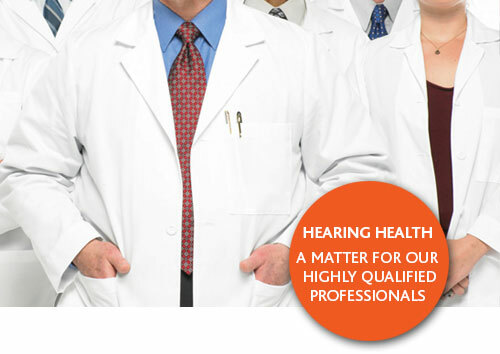 We believe that the employment of accredited audiologists or audiometrists should be required. HCIA members only employ audiometrists and audiometrists who are accredited by their professional bodies and who comply with the National Code of Conduct of all health workers. With 450,000 hearing aids prescribed around Australia each year, we urge all Australians to avoid unnecessary risks and only deal with expert accredited clinicians. HCIA members adopt standards to ensure that every client will receive the most appropriate assistance that deals with their hearing loss and their individual needs.